Posted on December 29, 2009 . 1 comment. I didn’t write any posts this month. Now I have a free time so I write some posts. First begin with my last month life summary. I officially graduated from the university. I began the full time job. That’s why I didn’t write any posts on this month and the last month I try to write the post as much as I can. Because I don’t know that I can find free times when I begin to work. This month I also finished the games that haven’t finish. 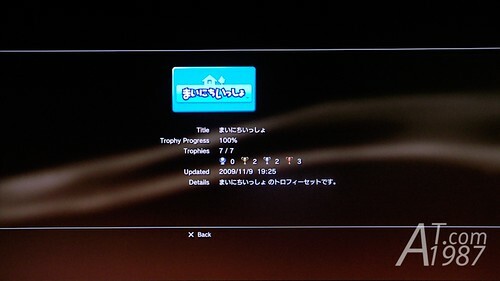 The first game is Mainichi Issho which I got all its trophies. 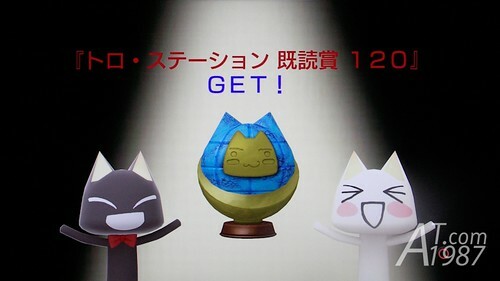 One of the reason I try to get all of its trophies is SCE terminated the Mainichi Issho service and start the new game call Weekly Toro Station which only give the trophies for people who pay for its Platinya service. So I decided not to play the new game. Other game is Modern Warfare 2 which I finished it in less than 6 hours. The game’s fun but it’s too short. I got an invitation to the event. The event is good and I loved the blueberry cake they served in the event. For the report. You can read it at RE.V->. 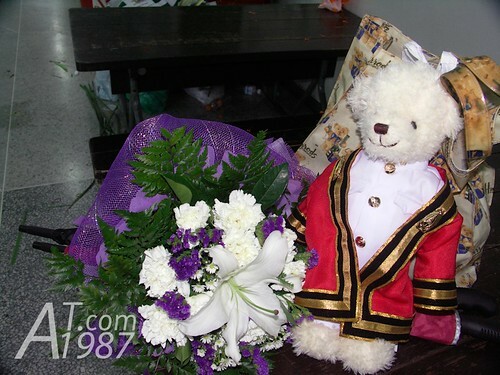 (In Thai) For cosplay gallery, you can see it in this post. 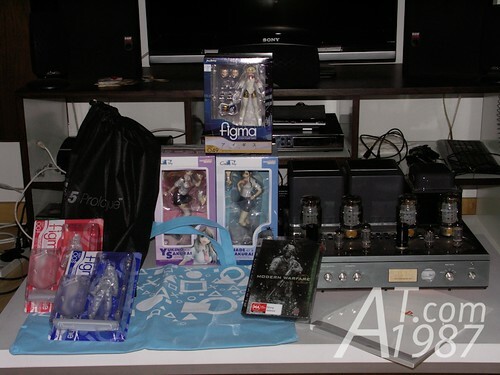 I paid a lot in November since the figures I ordered last year came to Thailand late. Unlucky all of them came to Thailand this month. There’re some good games released on this month too. These are what I got from the event above. Other one is AIR TIGHT Stereo Power Amplifier ATM-2 which was given to me by my uncle but I can’t use it right now because it needs some maintenances and adjusting the tube bias. I haven’t found someone to do it yet. 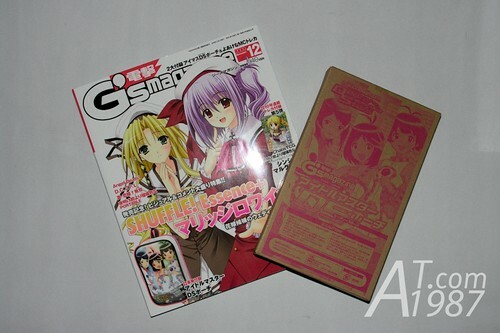 Dengeki G’s magazine vol. 12 2009. It comes with THE IDOLM@STER Dearly Stars Nintendo DS pouch. The items I ordered and never thought that it will come to Thailand earlier than I expected are Atelier Series Official Chronicle and Macross F VF-25 Lucky Star’s Konata version that I asked some one to draw lots for me in Japan. 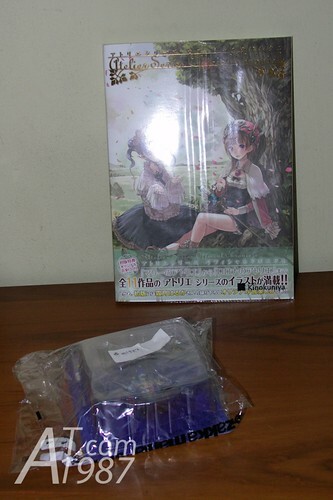 Luckily the Atelier Series Official Chronicle I ordered is the first print edition. 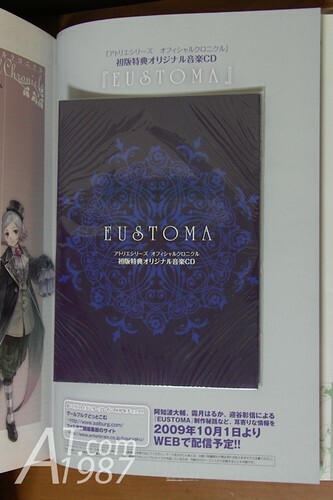 It comes with the single CD “EUSTOMA” by Shimotsuki Haruka. The songs are great ! I may write about it later. That’s all what happen on last month. I will try writing post more frequently and Happy New Year folk ! Well… this is a little embarrassing to ask, but if it isn’t too much trouble… could you please rip the songs from the EUSTOMA single CD and upload them to a server such as MediaFire or MegaUpload. There are many Atelier, Ar tonelico and Shimotsuki Haruka fans that are looking for it and haven’t been able to find it. If you can do us this favor, we’ll be eternally grateful with you (and you can also see around the CDs we have uploaded if you wish any of them in exchange).